Size - Not tiny (hell, I drive a Kia Rio now; to get any smaller I'd need to be driving a golf cart), but not enormous either. Something in the small SUV department. I want something that I fit in...where "I" is a 6'3.5", 230 pound human being. I also want something that can carry at least some "stuff". Reliability - Really important to me. For example, I really like the Jeep Patriot, and I could potentially buy a new one, but I'm apprehensive about the reliability of just about any American made vehicle. I know, buying new means you get the full manufacturers warranty, but I still have fond memories of my PT Cruiser (another Chrysler product) that literally started to fall apart at 60,000 miles. Fuel Economy - I'm willing to give here a bit in exchange for something larger, realizing that nothing I get will end up having the fuel economy of my Kia Rio. Accessories - A few accessories would be nice...key flob (I know, most cars have them now, but my option-less Rio does not, and I miss it), sunroof (would be super-cool), roof/luggage rack (Ms Rivers and I are contemplating the purchase of a canoe, so a roof rack would be very helpful), and AWD are all on the list. Toyota RAV4 - I love the size (just right) and the reliability. I am not necessarily enamored with the styling. Honda CRV - Love the reliability & the size. Not wild about the styling. Subaru Forester - I love the size & reliability. I worry that the engine will eventually turn to a metal block (see Consumer Reports ratings). Suzuki Grand Vitara - Great size & I like the styling. I can't get any solid information on the reliability though. Others I am considering: Nissan Rogue & Toyota Highlander. Falling Apart - It is actually falling apart. The slide-out keyboard is loose and the keys (especially the 'm' key) stick. The phone's data connection is very fragile, to the point here I frequently have to take it into and out of airplane mode just to get a connection. Lack-O-Support - Sure enough, after I bought the phone in early 2011 HP decided to ditch the Palm cell phone business. Needless to say, next time around I want something that will not turn into vapor-ware immediately after I buy it. Size - The screen is tiny and web-pages don't render well. Very frustrating. Nokia 920 - I love Windows 8 as an alternative to Android, and unlike RIM/Blackberry, I know that Microsoft will be in business for a long time to come. The phone seems to have a great screen and terrific form factor. App support is light at the moment, but I think that will change. It also comes in red. Downside? I have no clue when this will actually go on sale. Samsung Galaxy 3S - Great size, terrific app support & despite the court loss to Apple, Samsung will be in business for a long time. Tons of accessories for this and I'm relatively familiar with Android. 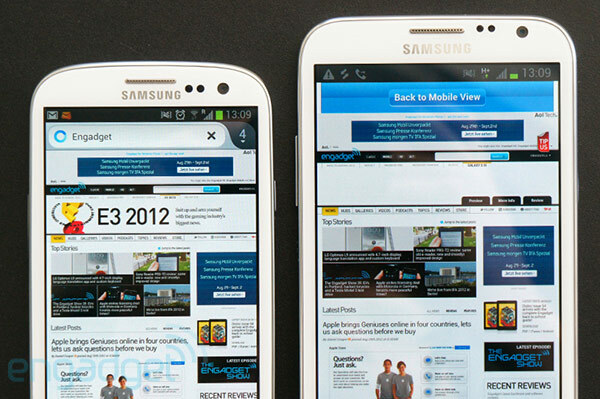 Samsung Galaxy Note 2 - The picture compares the Galaxy (left) to the Note (right). I love the larger size & the stylus entry (Steve Jobs was wrong...). Might be too big though. 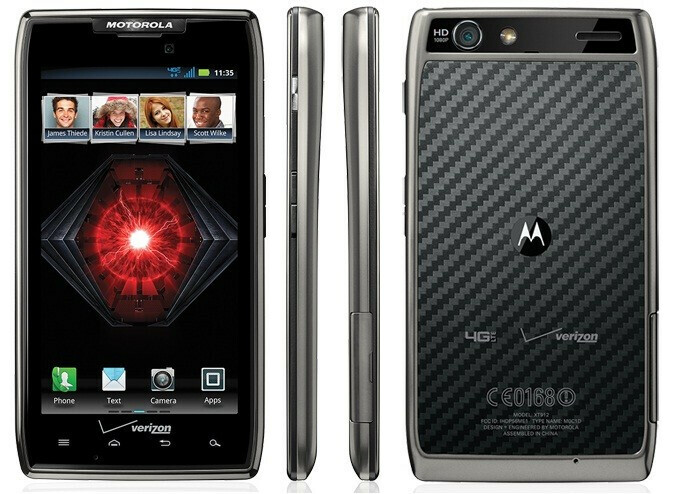 Motorola Razr Droid - Android + nice form factor. What will not be on my list? Apple - I am just not a fan. I also use a lot of Google infrastructure (contacts, gmail, calendar, blogger). I DESPISE iTunes with a passion. RIM/Blackberry - I love my work Blackberry Bold...it's bullet-proof, decent app selection & functions really, really well for both voice and data. I worry though that RIM will be going the way of the dinosaur in 2013, and I don't want to be back in the same bucket I am in now. Decisions...decisions...decisions. Next year there may be residence change...if I am this wrapped up in a car and a phone, imagine how I will be when it comes to housing? Verizon WIreless gave me a Samsung Galaxy Tab to borrow for BlogCon for checking people in, tweeting and live blogging. It is a pretty solid device, I must say. The google features on it are pretty great - I downloaded Docs and Reader and they work well. We use a lot of Google Docs to plan the event, to have them in a larger screened portable device (I have an iPhone 4s with the Google App already) is pretty handy! I wonder what the phone would look like. I'm not a huge droid fan. But you have to give credit where credit is due. Thanks for the comment Michelle. I have a Sony S tablet running Android 4.0, so I'm relatively familiar with the interface. I find that it's great for media, not so great for productivity. I have big hands, so the thought of a cellphone the size of a dinner plate isn't all that off-putting to me, but we shall see.